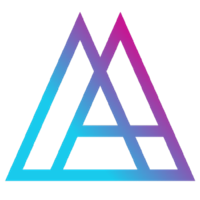 Alloy uses the symbol "XAO" and operates without any monetary authorities. You can mine the Alloy virtual currency, which is done so using the CryptoNight Alloy algorithm along with the Proof of Work (PoW) consensus. You can estimate the profitability of mining Alloy using our calculator. We have built a mining calculator widget, which you can use on your website. Alloy can be found online, on social media like Slack, Discord, Facebook, Reddit, Telegram and more. We don't have any cloud miners listed for Alloy yet, check back soon! We don't have any exchanges listed for Alloy yet, check back soon! Visit our full alloy mining calculator. We don't have any wallets listed for Alloy yet, check back soon! We don't have any debit cards listed for Alloy (XAO) yet, check back soon!